Super-easy, super-fast, and super-delicious! Make-ahead, freezer meals that you can pop into your Crock-Pot for a super satisfying meal. It really is nice to have a couple of frozen crock pot meals for those days that are going to be extra busy, but they are also perfect for those special times to help with the menu, such as Super Bowl time! I hope you enjoy these recipes as much as we have. I created a section in my Cook'n software for freezer meals. While I am making a freezer meal I almost always make two. Place pork ribs in a gallon sized zip-lock bag. In a bowl, mix all the ingredients together and pour over ribs. Seal bag and place in freezer. Thaw overnight in the refrigerator. Cook on high for 4 hours or low for 6 to 8 hours. Mix all the spices together and sprinkle on chicken. Put Apricot preserves and vinegar into a gallon bag. Add sweet potatoes and onion, and top with chicken breasts to the gallon bag. Seal and place in the freezer. Thaw out overnight in the refrigerator. 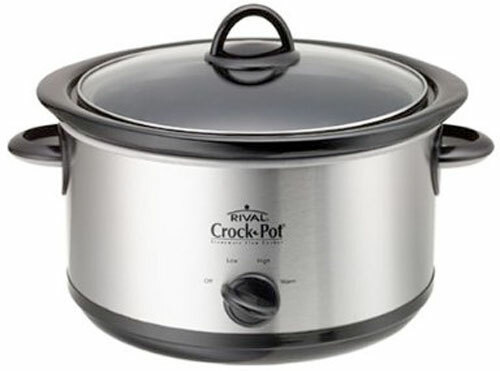 Place in Crock-Pot and cook on low for 6 to 8 hours. Half an hour before serving, mix chicken broth and corn starch in a small bowl. Add to the Crock-Pot and cook on high for 20 to 30 minutes.